amy ross. – my love for you is a stampede of horses. Fukkit, I’m goin’ Photoblog on all yer asses. It’ll save you from drowning in the bile of my unhappiness. 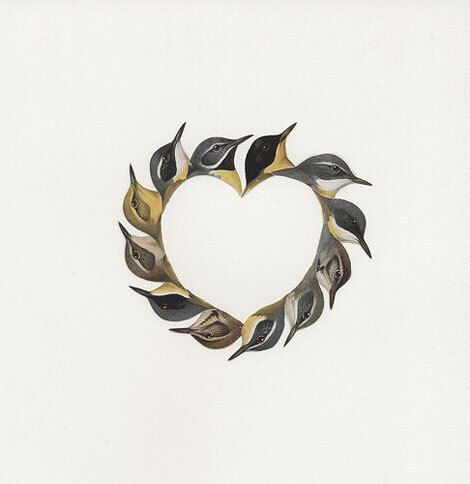 For my bird nerd sis, a beautiful painting of all her favourite songbirds. This entry was posted in Arts and tagged Arts, bird-nerd, crafty, want-want-want. Bookmark the permalink. Post a comment or leave a trackback: Trackback URL.